Support Services - Perception Consulting Ltd.
Do I need a Support Contract or do I need a Managed Service? The difference between a Support Contract and a Managed Service are quite distinct. A Managed Service is where we provide you with an agreed Support Level Agreement (SLA) and should there be an issue with anything that is within the SLA we deploy the correct resource to provide a fix – that is if your SLA is on a break fix level. Obviously we can also provide SLA’s where we do preventative maintenance and checks in order to minimise any possible issues. So basically in a Managed Service we do the work and ensure that all system associated with your SLA are in working order. 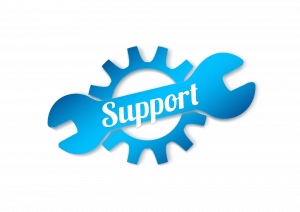 A support Service also works with an SLA but usually a company or organisation will have a support service only when they have in house expertise that can cover off first level support. If that is the case and your in house resources do not have the capability following a first level they can then escalate the issue to Perception who will then attempt to duplicate or replicate the issue and then provide the steps for you to attempt a fix. So with a Support Service SLA we tell you how to fix the issue. What do I need in my SLA? Perception will of course assist you in deciding whether you need a managed service or a support service in the first instance. We would then work with you to author an SLA that we can both stand over and that will provide your organisation with absolute piece of mind. An SLA will take into account the capability and capacity of your team and be adjusted accordingly and in the most cost effective way. We provide our customers with resilient and flexible support solutions that are staffed by extremely experienced consultants who are often the same people that delivered the solution in the first instance. We also follow a very simple escalation policy that is transparent and robust enough to get you up and running again in as short a time as possible. If you would like to discuss a support service or managed service with us please contact us with your requirements and we will ensure that the right person follows up your queries.